This page is meant to serve as a situational awareness tool for the citizens of Madison County and beyond. It includes trending fraud and scam activity currently being seen within the area as well as other common criminal activity perpetrated against our senior citizens. Not all scams are represented, due to the fact that unfortunately, our scammers are bound only by their imagination and ingenuity. New scams are concocted every day. Be aware, be educated, and rely upon your local police department to assist you should you encounter such a situation. Together we are better. 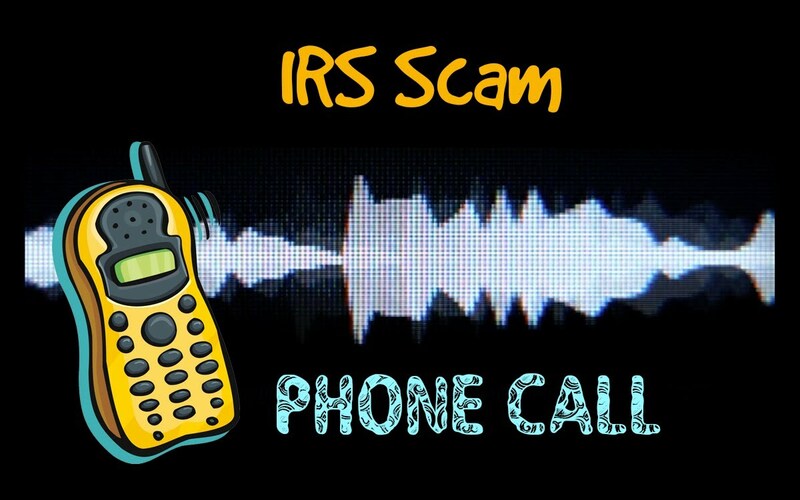 This scam can either be a live caller or a recording. Both versions will include a threat of arrest if money that is allegedly owed the IRS is not paid in full in a short amount of time. A call back number is sometimes offered which will route you to a fraudster who perpetuates the scam with high pressure and scare tactics. This scam commonly includes a door to door approach on the part of the scammer. A knock on the door from a stranger who claims to be in the neighborhood and to have just finished a job. The scammer states he/she has just enough product/materials to finish or repair the victim's driveway or roof and will do so for a greatly discounted rate. In some instances they agree to clean the yard or trim trees for a modest cost. Usually the work is then done poorly with inferior materials. High pressure tactics are often utilized to get more money from the victim than originally agreed upon. Remember, only use reputable local contractors, who are willing to provide references for previous work they have completed. Consider refering to the Better Business Bureau to check the contractor for a history of fraud or deceptive practice. Do not make a decision for a home repair hastily. Remember, a reputable contractor will not be hesitant to provide all the information you request. If you are in doubt, call a family member, friend, or the local police to investigate any suspicious contractors who come to your home unannounced. Once “in,” the fake grandchild will usually ask for money to solve some unexpected financial problem (overdue rent, payment for car repairs, in jail, etc. ), to be paid via Western Union or MoneyGram, which don’t always require identification to collect. At the same time, the scam artist will beg the grandparent “please don’t tell my parents, they would kill me.” Often, if the scammer is successful, they will call back a second or third time requesting more money. While the sums from such a scam are likely to be in the hundreds or thousands, the very fact that no research is needed makes this a scam that can be perpetrated over and over at very little cost to the scammer. Sometimes the scammer will request a payment in the form of a Western Union money transfer or Green Dot gift card to unlock the "winnings". Rule of Thumb: If it sounds too good to be true..It is! Second Rule of Thumb: Legitimate lotteries do not call you to let you know you have won. If you want to switch cellphone carriers, you can typically bring your existing phone number with you—because who wants to get a new phone number if they don’t haveto? No one, that’s who. Don’t be afraid or embarrassed to talk about it with someone you trust. You are not alone, and there are people who can help. Doing nothing could only make it worse. Keep handy the phone numbers and resources you can turn to, including the local police, your bank (if money has been taken from your accounts), and Adult Protective Services. To obtain the contact information for Adult Protective Services in your area, call the Eldercare Locator, a government sponsored national resource line, at: 1-800-677-1116, or visit their website at: www.eldercare.gov. If you reside in Madison County, Illiinois, contact your local police department or the Madison County Sheriff's Office.